Our first visit to First Green Bank, with Year in the Life mentor Stuart Cowan, exceeded our expectations in every way imaginable. At the conclusion of our visit, CEO Ken LaRoe had committed to building Florida’s first commercial, beyond LEED, Living Building and, hopefully, to building it without a premium over conventional construction. What's more, we all came away with the seeds of an idea for how the Living Building Challenge could be a catalyst for the regeneration of the local Central Florida economy. 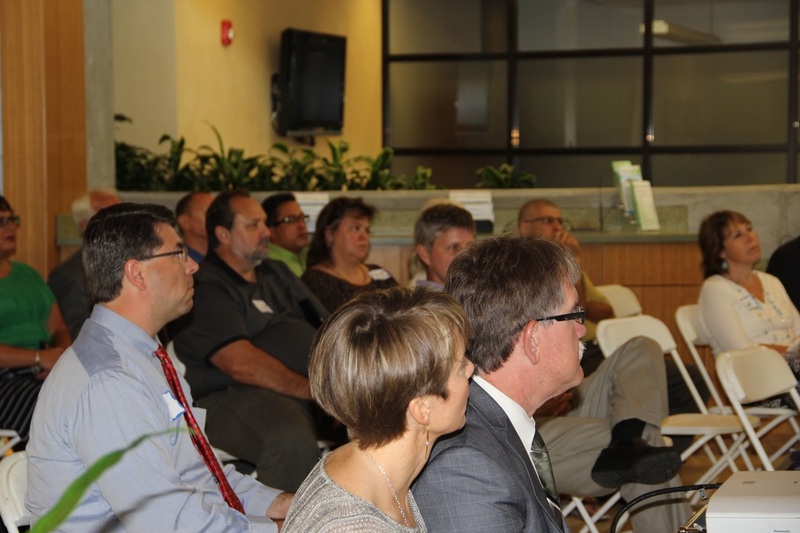 Above: Community members explore the possibilities of the regenerative economy with Year in the Life mentor Stuart Cowan (center) at an evening get together held at First Green Bank headquarters in Mt. Dora, Florida.